In Slavic folklore, Baba Yaga is a boney, iron-toothed witch, with an appetite for human flesh. She flies around in a mortar, prodding it on with a pestle, and sweeping her tracks away with a broom. 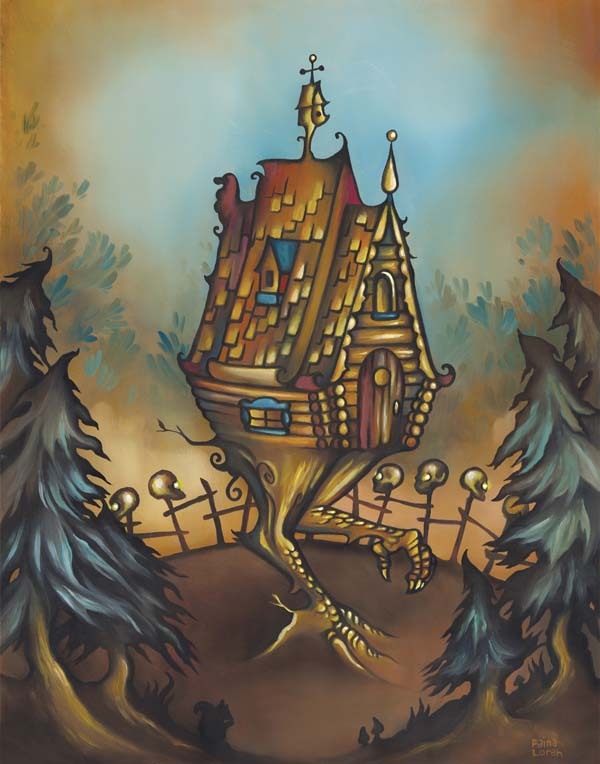 Baba Yaga dwells in a forest and lives in a hut, which stands on chicken legs. She may hurt or hinder the hero of the story depending on which tale is told. Read a fairy tale about Baba Yaga here!